Your Will is the most important document you will ever make and what you do with it once you have signed it needs careful consideration. The Will cannot be lost. In placing the Will into Storage, the documents will be checked to ensure they are signed correctly. Only your Executors will be allowed to withdraw the Will from Storage after your death. A disappointed Beneficiary cannot destroy the Will as they will not have access to it as they may at home. All documents are scanned, and the electronic copies will be. used in an application to Probate if required. Your Will can be found when the time comes. Did you know that if your Will cannot be found after you have passed away that the Law presumes that you must have destroyed your Will and did not wish its content to be taken account of. This could have devastating consequences for your chosen Beneficiaries. If your Will cannot be found after your death either any previous Will found will be used, or the Government will draft a Will for you and your Estate will be divided according to the Laws of Intestacy. You will be treated as if you never made a Will if at the time, you die the original cannot be found and may mean that your loved ones do not receive your Estate as you had intended. Countless Wills are damaged, lost, or accidentally destroyed every year causing untold issues for those left behind when trying to obtain Probate and administer the Estate. Only your nominated Executors are able to access your Will when the time comes. We have all heard the horror stories of what could happen when a Will falls into the wrong hands and so you need to be able to guarantee that your Will remains safe until this event and that only your chosen Executors know exactly where your Will is located. Using Frog Wealth Management’s Partners Storage Service ensures that your Will is kept safe and can be released to your Executors at the time of your death. This also means that the content of the document is kept private until death occurs. Your Executor(s) will be provided with a certificate confirming that your Will is in Secure Storage, but a copy will not be released to them until after your death. Your wishes will only be made known to your Executors after you have passed away. Your Will is both legally valid and has been executed (signed and witnessed) correctly. When you elect to store your Will with Frog Wealth Management’s Partner we will automatically check that your Will has been drafted correctly and that it has been executed correctly and complies with the Will Act 1837, before it is placed into safe storage. If your Will has not been signed correctly it is better to put this right before death, when it will be too late. Secure Storage of your Will is just as important as making your Will. 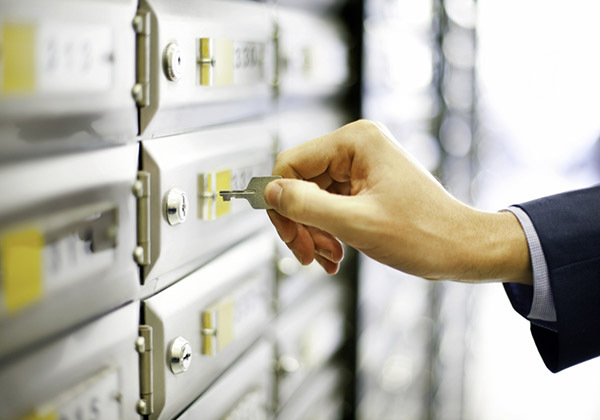 Choosing to use our Secure Storage Facility will ensure that your Estate is distributed as intended after your death. All our client’s documents are stored off site in a Secure Storage unit and as an added precaution, all signed documents to be stored are scanned in advance and those scanned copies are stored in our Electronic Filing system held on a secure server. Q. What will I receive from Frog Wealth Management’s Partner after electing to store my documents with you? A. Our Partner will provide you with confirmation of the documents held in Storage, which you should then pass onto your nominated Executors for safe keeping. 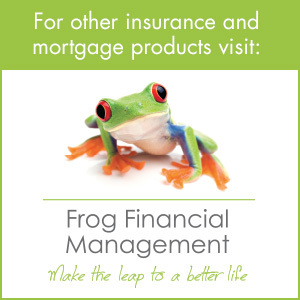 Full details of all the documents being stored with Frog Wealth Management’s Partner. Full contact details confirming where the documents are stored and how to retrieve the documents when required. Storage is paid for by Direct Debit mandate and is taken on your specified date on a yearly basis. Our Storage charge is per-household and the storage facility can be used by the whole family for ALL your personal documents. What happens if I want my documents out of Storage? Should you require your documents out of Storage for any reason at a later date, then you will need to make this request to our partner in writing and where documents are required for more than one party, our partner requires BOTH client signatures on the written request. Once this has been confirmed your documents will be retrieved from storage and posted out to you. Your signature(s) will be required on delivery.